Joyce Tooke Horton was a gifted pianist, accomplished educator, worldwide traveler and a passionate story teller with a colorful personality to match her unique style of fashion. A loving mother, grandmother, sister, daughter, and friend, Joyce departed this world on February 1, 2019 at 11:45am. Joyce loved life but most important to her were her family and friends. Joyce’s most positive influences in her life were her parents, especially her mother’s appreciation of life and her father’s sense of humor. Growing up Joyce enjoyed school, cheerleading and high baton toss. After high school she pursued learning, earning and completing many degrees to include a Master’s in education. After Joyce married her husband Robert Horton, her career led her to Las Vegas Nevada. Having a passion for music, she became a music specialist for Clark County School District in Las Vegas Nevada. Joyce as an educator, through the years, became a school librarian, choir instructor and an English Instructor. Joyce influenced and mentored many students. 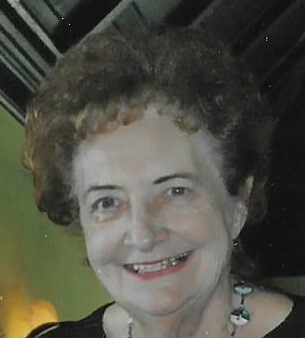 Joyce kept a friendship with former students who have adopted her. She was respected and admired. Joyce had many hobbies and interests. These to include antiques, traveling, her love of her cats and her love of cars, especially her ’39 Ford Coupe and ’88 Jaguar. Joyce once wrote, “keep your values, have fun and give, give, give to less fortunate, anonymously. Keep a song in your heart and a smile on your face!”. Joyce is survived by her sons, Robert Horton, Sean Horton and wife Heidi Horton; her daughter, Penny Reimche and husband Mike Reimche; her seven grandchildren, Cody Horton, Scott Horton, Sean B. Horton, Samuel Horton, Jesse Fernandez, Joshua Fernandez and Brianna Fernandez; her brothers, John Tooke and Frank Tooke; her beloved nieces and nephews Johnny Tooke, Robert Tooke, Kevin Tooke, Fran Tooke, Susan Tooke Powers, and Rick and Jodi Blackburn; and great grandchild, Forest Stevens. She is also survived by numerous family members and lifelong friends. She was preceded in death by her parents, Frank and Mary Tooke, her husband Robert Horton and daughter Rhea Horton. Visitation will be held on Friday, February 8, 2019 from 4-6 p.m. at Stevenson and Sons Funeral Home in Miles City. Mass of Christian Burial will be held on Saturday, February 9, 2019 at 1:00 p.m. at Sacred Heart Catholic Church. Condolences to the family may be sent by visiting www.stevensonandsons.com. My sincerest sympathy to all of the Tooke family. John & Frank, I know how hard it is to lose a sister and my thoughts are with you and all your family. Sorry for your loss. It has been good knowing Joyce. She accomplished so much. She has been a classmate of mine. You have always had a funny story to tell, a gift to give, a song to sing. We have been so lucky to have Aunt Joyce stories throughout the years. You will forever put a smile on our faces. We love and cherish you. We know heaven is dancing as you play for eternity. John and Frank: My sincerest prayers are for you both during this time. Your sister was a force of grace and energy. She made me feel noticed no matter where or when I saw her. I was so sorry to hear abut Joyce’s death. She was an inspiration to me and so many others. My sincere sympathy to her family. Joyce was such a delightful person to visit with when my wife and I attended musical events in town. Our sympathies to all of Joyce’s family at this time of parting and remembering. Having worked for Joyce for many years as her ” on call assistant”, I feel truely blessed to have known her. Many fond memories I hold dear with one in particular being the day she assigned me to bring down boxes from the top shelf of the shop closet so she could go through them. I managed 2 boxes down and delivered them to where joyce was sitting. Not long after I had returned to task I heard joyce say “well dahrling …how doooo i look? BlinkBlink…” I turned in time to catch her batting her eyelashes at me and saw she had on a mink stole (with head attached..eeww!) with a matching fur hat & in her hand she was holding an audrey hepburn style cigarette holder minus the cigarette. “YOUR turn dahhhrrling! !” she exclaimed after taking a pretend drag from the holder with no cigarette, waving with it toward the open box. Inside the box I found a floppy hat and feather boa to wear. As we admired one another & giggled Joyce noticed poor ol Arley cat on his way from his sun window in the shop back to the apartment. “Aaaarleyy cat wants to see our fashion show” Joyce quiped. Arley sleepily slinked around the ottoman toward her voice & came into full view but the second he got a good look at us he let out a screech, sprang straight up into the air & took off like a rocket for his hiding spot under joyces bed. Her and I laughed & laughed until we cried while Arley cat scowled at us from beneath the bed . I extend my heartfelt sympathy to Joyce’s family for thier loss. May fond memories bring comfort during this time of sorrow. My sympathy to all the family. Joyce was a wonderful lady. Joyce and I shared so many “hilarious” fun times they are too numerous to mention…many good times around the piano singing A Pirate Looks AT 40!! Joyce introduced me to Thrift Shopping… a lot of stores to be told about that. I cherish all the memories. My condolences to Sean, Penny, John and Frank. a success and the kids absolutely loved her for her energy and devotion to their success. After retirement we would get together for outings. On day, we had a few drinks (really) and decided to go shopping. We ended up at a department store and started trying on the most outrageous hats we could find. We were laughing and crying at the same time. Before we knew it we had two teenage boys trying on hats beside us with the same result. It was ALWAYS a hoot with Joyce and we have truly lost a dear, dear friend. RIP Joyce. Dear Frankie and Johnny (that is mostly how I remember you two:)…. Joyce was a dance instructor, with a studio next to the old Park Theater, when I first met her. She taught tap and ballet,which I took, and somehow gymnastics got in the mix. I loved her from the first day we met. I hope you remember that in those days I babysat you two boys (HEH:) ~ and always liked to see Joyce and Mary during those times (but Joyce’s little DOG, not so much:(…. I remember he could corner all three of us! My memories of Joyce are sweet. Both her and your mother were always so good to me.